Information is everywhere, and yet many women still don’t truly understand how our bodies work and specifically how our lower genital tract works. Dr Anita Mitra, aka The Gynae Geek, believes that we can be empowered about our health only when we have accurate information. This audiobook will be that source. This audiobook takes you from your first period to the onset of menopause and explains everything along the way. From straightforward information about whether the pill is safe, which diet is best for PCOS, what an abnormal smear actually means, if heavy periods are a sign of cancer, right through to extraordinary tales from the clinic. This straight to the heart, sharpshooting guide will become the go-to reference book for all young women seeking answers about reproductive health as well as a way to dispel the swath of misinformation that’s out there. A must have on womens health! 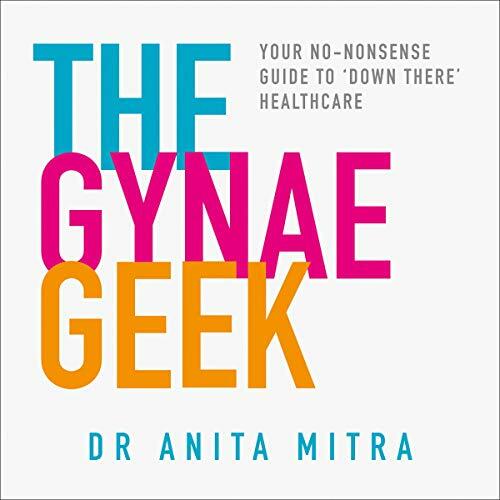 Listening to Dr Mitra’s ‘The Gynae Geek’ is like having a good friend answer and explain all the questions you’ve needed/ wanted to ask and didn’t. She moves clearly through different sections, explaining things that you would probably have googled and never come away with a satisfactory answer. You get the facts which, as she makes clear, every woman should be armed with.